Have you ever gazed into a pool of water and found yourself being hypnotized by it’s cool, peaceful tranquility? Well, gazing into the depths of this month’s birthstone, Aquamarine, can have the same effect. The ancients realized this when they gave it it’s name, which in early Latin literally meant ‘water from the sea’. Aquamarine is the greenish blue to blue variety of the gem species called Beryl. Some of you many know that Aquamarine has more famous cousins, Emerald and Morganite. All three of these gems are, for the most part, identical in composition with the exception of minute traces of ‘foreign’ elements that are responsible for their colours. You see, if Beryl were to be pure beryl, then it would be colourless. But nature seldom makes gemstones ‘pure’, it usually puts a few other ingredients in it’s recipe, and it’s these ‘extra’ ingredients that cause the colours.. Iron in Aquamarine, Chromium or Vanadium in Emerald and Manganese in Morganite. 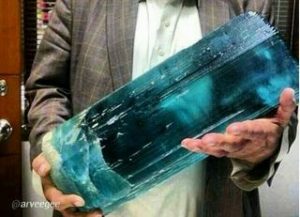 Many crystals of amazing size have been recorded over the centuries. In 1910, for example, a crystal was found in Brazil that weighed 243 pounds! It is said that the crystal was so transparent that things could be seen clearly through it’s long axis. 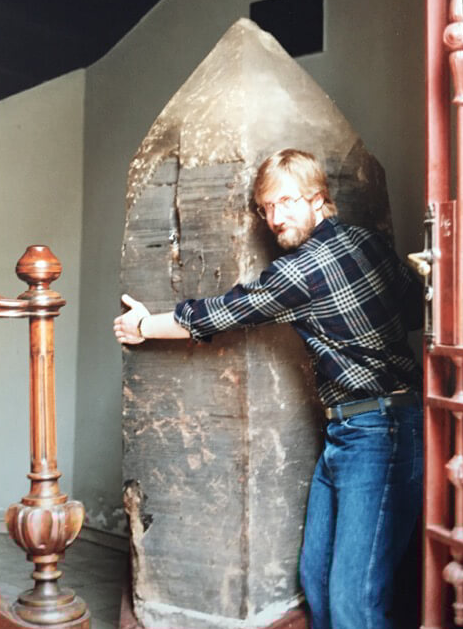 It was sold for US$ 25,000 and cut into many notable stones. 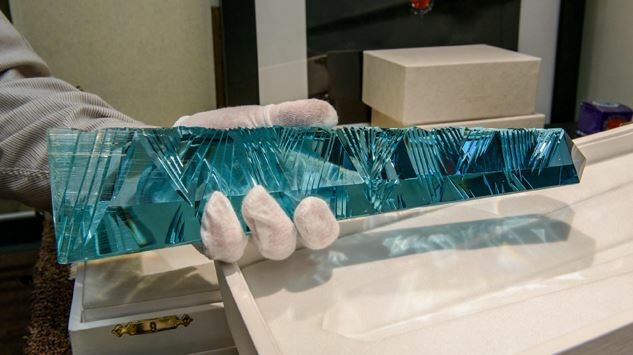 A small fragment of the original crystal weighing 13 pounds was on display at the American Museum of Natural History. Some notably large faceted Aquamarines include a flawless sea green step cut gem that weighs 897.5 carats and is presently in the British museum of Natural history. In our Provincial museum here in Edmonton, I know of at least 2 large stones (120cts. 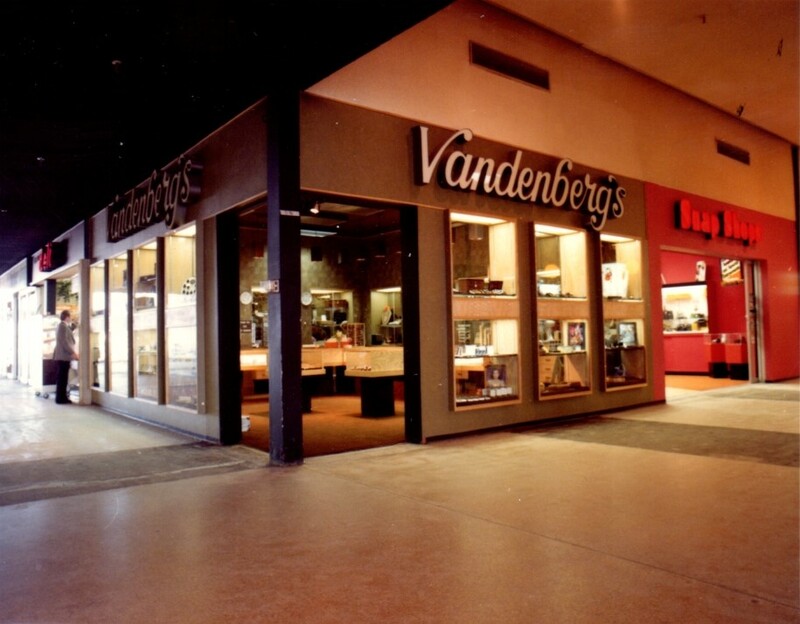 +) that we helped donate in the mid 1980’s. 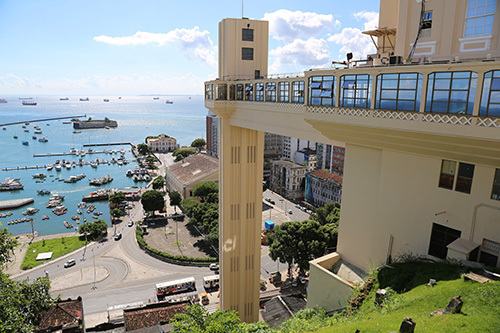 And, of course, there is always the “Dom Pedro” (pictured below) which was found in Brazil in the late 1980’s. It was cut by the famous gem cutter Bernd Musteiner in the 1990’s and weighs 10,363 carats!! Today, it is on display at the Smithsonian. Aquamarines are found in clear, near flawless crystals, so cut stones should be flawless or at the very least, near flawless. 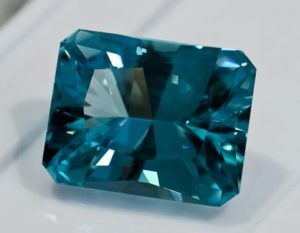 Colours can range from a pale, almost imperceptible blue, through to a medium dark rich blue like the crystal pictured above. Found in many countries of the world, Brazil is still one of the most important sources. Although, there are some amazing gems coming out of Africa. Typically, available stones range in sizes from the smallest of sizes to 3cts. Over 3ct stones of good colour are getting rarer. With a hardness of 7.5 to 8, it is good and hard, so it is not easily scratched. It is also a tough stones, and can be worn in most situations. It is important to keep your Aquamarine clean to keep them looking brilliant, as is the case with most lighter colour gemstones. As oils such as hand lotions or creams and even natural oils adhere to the back of the stone they can make the gems appear quite dull. They are not affected by mild acids or cleaning ammonia so you can use the commercial cleaners on them. Take special care to get under the stone with your brush. Always remember that, as with all non-diamond gemstones, Aquamarine is still a rare and delicate mineral and as such should be handled with care. No tapping on the counter and mixing with diamond jewellery in your jewellery box. A soothing gem and a pleasure to own, Aquamarine is also affordable. Simple rings without diamonds can be found for under $1,000. At present, we have a great selection of loose and set stones for you to have a look at.Drop by for a peek..